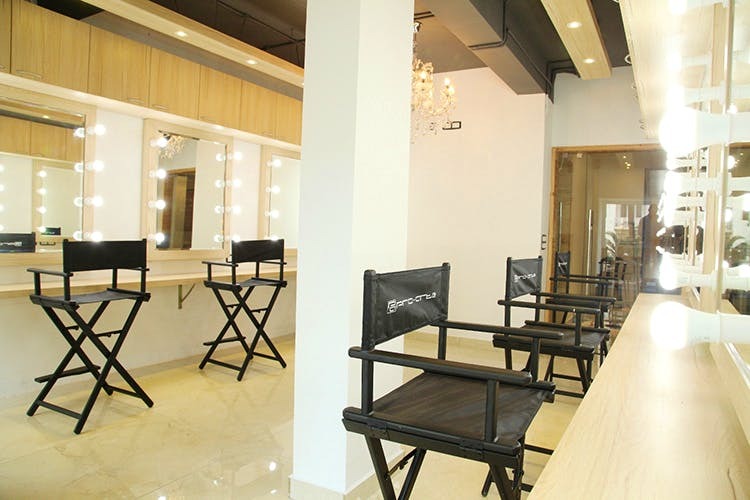 Arti Gutta Salon & Spa on CP Ramaswamy Road will pamper you with mani-pedis and rejuvenating full body massages too while Arti Gutta’s Proart Makeup Academy in the same space is a dedicated makeup studio and training academy. Spend hours looking at YouTube make-up tutorials completely in awe? Want to up your makeup artistry and transform people into divas? These two courses might just be for you. Arti Gutta who is a veteran in the field of make-up with nearly 30 years of experience, has relocated her salon and academy to Alwarpet, and upgraded it to a newer, swankier avatar. Located on CP Ramaswamy Road, the studio will have live demonstrations and students can be placed in the morning and afternoon classes. You’ll be trained by experts, from India as well as abroad. There are two courses available, one that’s for four weeks and another for 12 weeks. The latter is a diploma where you’ll learn to do make up for bridal photography, catwalks, editorials and even red carpet looks. Prices for both are INR 25,000 and nearly a lakh, respectively ( at the time of this publication). Now if it’s some pampering you’re looking for, drop by the spa and salon that’s a part of the 3,000 sq ft space. They have three beauty rooms and two spa rooms. We’ve dropped by regularly for massages, pedicures and a hair spa too. We absolutely recommend the Pro Foot Pediceuticals. A little pricier at INR 1,200, but absolutely worth it, this pedicure gives life to feet suffering from excessively dry skin. And do ask for Anjana, she did a great job with ours. A 60-minute deep tissue massage starts at INR 1,800 which is a fair price when compared to a lot of other spas in the city. They offer a range of hair services too and even do bridal makeup starting at INR 10,000.